Yip Harburg’s great grandson Aaron Harburg introduced performances of songs with Yip’s lyrics as part of United Performing Arts Fund‘s 2016 fundraising campaign kickoff, the theme of which was THE WORDS OF LYRICIST E.Y. 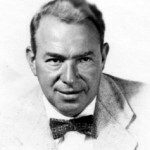 “YIP” HARBURG: FOLLOW THE DREAM. UPAF is a nonprofit organization that raises funds to support Wisconsin performing arts groups. The kickoff event took place at Milwaukee’s Pfister Grand Ballroom on March 1, 2016. And on March 2 Aaron and Milwaukee-based syndicated film critic Ryan Jay introduced a screening of The Wizard of Oz in Marquette.